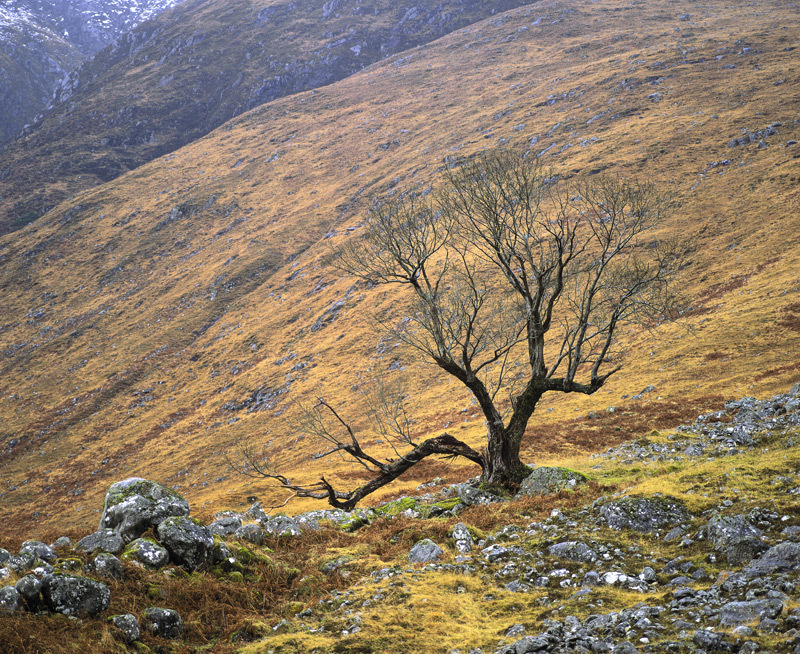 There is something slightly dark and macabre about this angular black and lonely tree set against the towering slopes of some of Glen Etives finest mountains. It has the same sort of menace and not an altogether dissimilar shape to the "Whumping Willow" in the Harry Potter movies. I am now slightly obsessed by this tree and I am still waiting for the light and conditions to be optimal, but I'll get there, until then this and the black and white version are part way there.